Home » History » Philippines » Pinoy brain » Pinoy Trivia » President » Who is the First President of the Philippines? » Who is the First President of the Philippines? Who is the First President of the Philippines? Officially recognized as the first President of the Philippines, but this is based on his term of office during the Malolos Republic, later known as the First Philippine Republic. 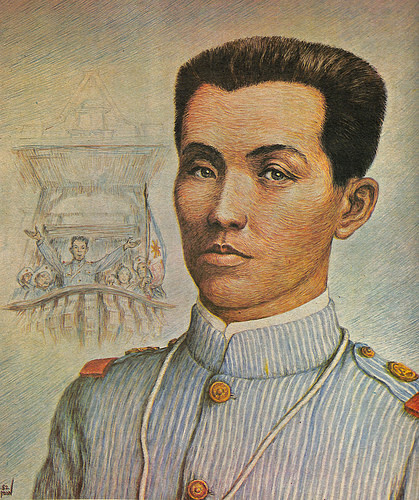 He is returned to the Philippines May 19, 1898, and announced renewal of the struggle with Spain. The Filipinos, who declared their independence of Spain on June 12, 1898, proclaimed a provisional republic, of which he was to become president; and in September a revolutionary assembly met and ratified Filipino independence. However, the Philippines, along with Puerto Rico and Guam, were ceded by Spain to the United States by the Treaty of Paris, which was signed on December 10, 1898.